When it comes to a special Sunday breakfast, Mike will choose French toast hands down. For me I would rather have pancakes or eggs, but French toast will do. I wanted to surprise my hubby with French toast for Sunday brunch, it is always fun to surprise the one you love with something they love. But I didn’t want to make the ordinary French toast that I usually make… eggs and milk and bread, very basic. I found a couple of recipes that sounded tasty and decided on one that was simple, but had a little more flavor than my basic one that I normally use. I changed a few things in the recipe to more of what I thought Mike would like and also to work with what I had in my pantry. 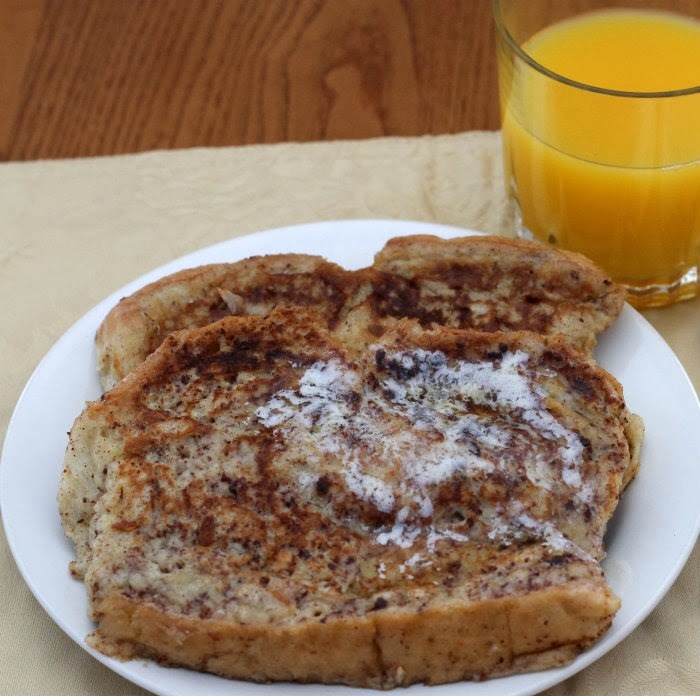 The French toast is flavored with a hint of almond extract, it seems like I have been using this flavor in a lot of the things I have been making of late, but I just bought it for the first time and we really love the flavor. The recipe calls for cream instead of the milk that I usually use, which give the French toast a nice rich flavor. Needless to say, Mike enjoyed the French toast and I have to admit I also enjoyed it too. 1. In a bowl, whisk together the eggs, cream, salt, cinnamon, almond extract, and vanilla extract. Pour the batter into a shallow casserole dish. 2. Heat a skillet over medium to medium high heat, place about a tablespoon of butter or enough to coat the bottom of the skillet. 3. Place the bread in the batter and coat both side evenly. Place the bread in the skillet and fry until golden brown, about 2 to 4 minutes. Watch carefully not to over brown. Turn the bread and fry on the second side for another 2 to 4 minutes. 4. The French toast can be kept warm in a preheat oven of 300 degrees F if not serving right away. 5. Serve with soft butter and maple syrup or dust it with confectioners’ sugar. I love how this is spruced up French toast! I love the almond infusion in baked goods and I’m sure I’d love it in French toast also! I don’t eat breakfast but love it. Twice a week my husband works late so I make my son and I breakfast for dinner, and French Toast is my favorite. 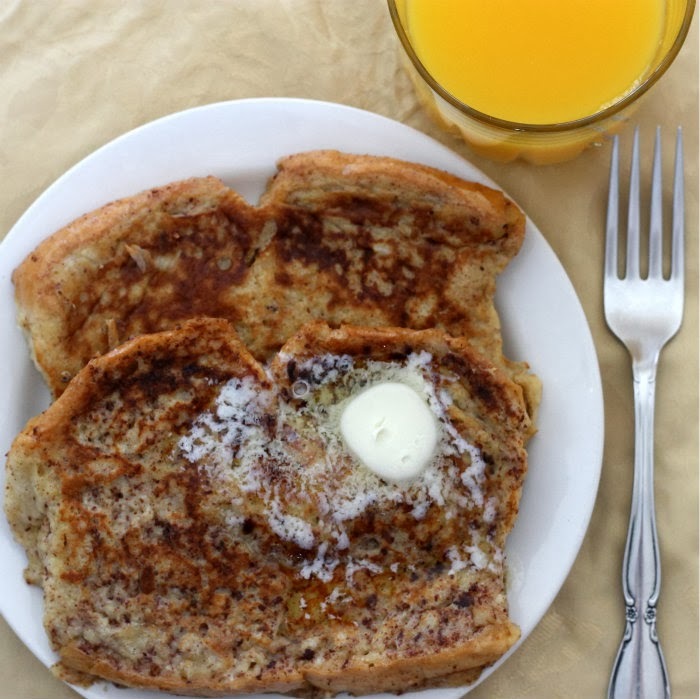 This French toast sure sounds great Dawn, I love the idea of almond and vanilla extract with heavy cream…yum! I love French toast but it can get kind of boring. You came up with a wonderful version Jodee! 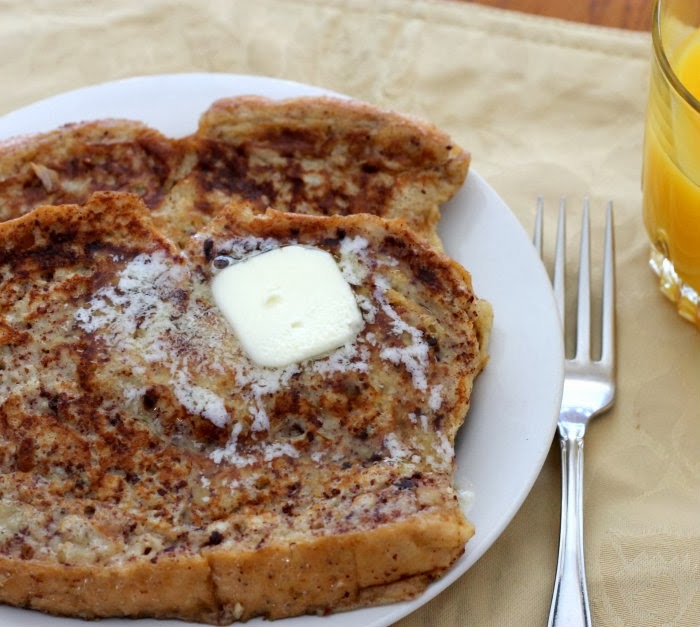 I love, love French toast for weekend breakfasts and this looks quite wonderful! The addition of almond extract sounds very yummy! Wer love french toast too. Almond extract makes so many things tastier. I have a son who is allergic to tree nuts, but before he was born, we used toasted pecans or walnuts on the toast. Yum! You’re reminding me we haven’t made French toast in ages! This look wonderful — thanks.